Your road to success starts here! Join an ambulance service team that is as committed to quality and safety as you are. Ambu-Stat offers full-time and part-time positions. If you are interested in putting your skills to work, we encourage you to complete and submit an employment application. 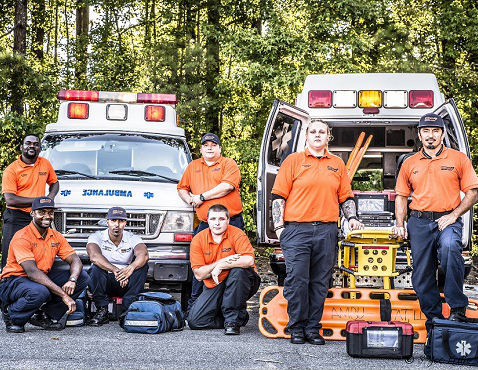 We have openings for EMTs of all experience levels: advanced, intermediate, or basic. If you are passionate about patient care, and have integrity, a positive attitude, and excellent interpersonal skills, we want to hear from you! Interested candidates are asked to complete an application to join our team of professionals. Benefits with you in mind! At Ambu-Stat, we are proud to offer health insurance benefits to include dental and vision coverage options. Paid time off (PTO) and holiday pay after the first year of employment; along with longevity and referral bonuses. Direct deposit and online viewing of schedule and payroll review for employees.